Home / Unlabelled / A new definition of a love story in Ang Babaeng Allergic Sa WiFi and why you must not miss it. A new definition of a love story in Ang Babaeng Allergic Sa WiFi and why you must not miss it. It's a fresh look on romcom movies that is reflective of what the millenials are fond of. The movie is tells about a teenage girl who develops an allergy to Wi-Fi, she is forced to live in a remote province, pushing her to reevaluate her relationships and the boy she believes is her one true love. "Ang Babaeng Allergic Sa WiFi" stars Sue Ramirez, Markus Peterson, Jameson Blake and is directed by award winning director, also one of our faves "Die Beautiful", Jun Robles Lana. 1. The movie is funny and never missed the correct punch lines that made you laugh, it is intelligently written and captures every aspect of the characters realistically. 2. It doesn't feel like one of those local movies that's dragging and overly dramatic. If you watch a lot of Korean or Thai movies this is almost up to par with that. 3. Sound scoring is also genius and even the the films color grading is very now. Even the animated effects are on point or seamless. 4. The cast were perfect and believable, we're definitely eager to see more of Markus as he has potential for drama. 5. It puts an importance to little things that usually other movies doesn't bother to include. Who knew foils, chocnuts and signals are that relevant? 7. It's part of Pista ng Pelikulang Pilipino 2018 and coming in cinemas this August 15th. 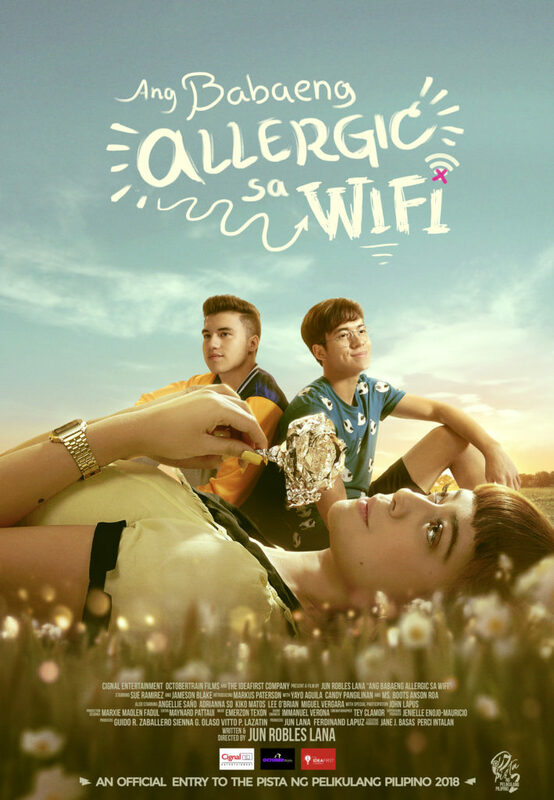 “Ang Babaeng Allergic sa WiFi” is Cignal Entertainment’s first venture into full length feature film production and is one of the eight feature films chosen by the Film Development Council of the Philippines. It's a must-watch to sum it up! Go see it in cinemas nationwide this August 15th. Watch the trailer below.